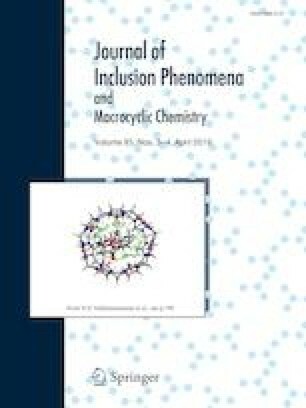 This article describes the enantiomeric discrimination properties of new chiral calixarene derivatives bearing (S)-/(R)-1-phenylethylamine moieties (5a and 5b, respectively) towards the 1-phenylethylamine enantiomers on QCM surface. Initial experiments demonstrated that the 5b coated QCM sensor was the most effective sensing material for enantiomeric discrimination of (R)-/(S)-1-phenylethylamine by exhibiting much more sensing ability towards (R)-enantiomer than (S)-enantiomer. Sensitivity, detection limit and time constant of the 5b coated QCM sensor has been were calculated as 0.082 Hz/µM, 2.7 µM, and 319.2 s, respectively. Additionally, effects of calixarene content and different coating technique on enantiomeric discrimination, and Langmuir and Freundlich isotherms of the sensing results also were studied. As a result, it has been demonstrated that the coating of QCM sensor with a chiral calixarene (5b) having (S)-1-phenylethylamine moieties provides substantially enantiomeric discrimination of 1-phenylethylamine enantiomers. The online version of this article ( https://doi.org/10.1007/s10847-019-00892-z) contains supplementary material, which is available to authorized users. The original version of this article was revised: Figure 2 was updated. We thank the Technical Research Council of Turkey (TUBITAK—Grant No. 115Z249) and the Research Foundation of the Selçuk University (SUBAP-Grant No. 16401003), Konya, Turkey and for financial support of this work produced from Egemen Ozcelik’s M.Sc. Thesis.